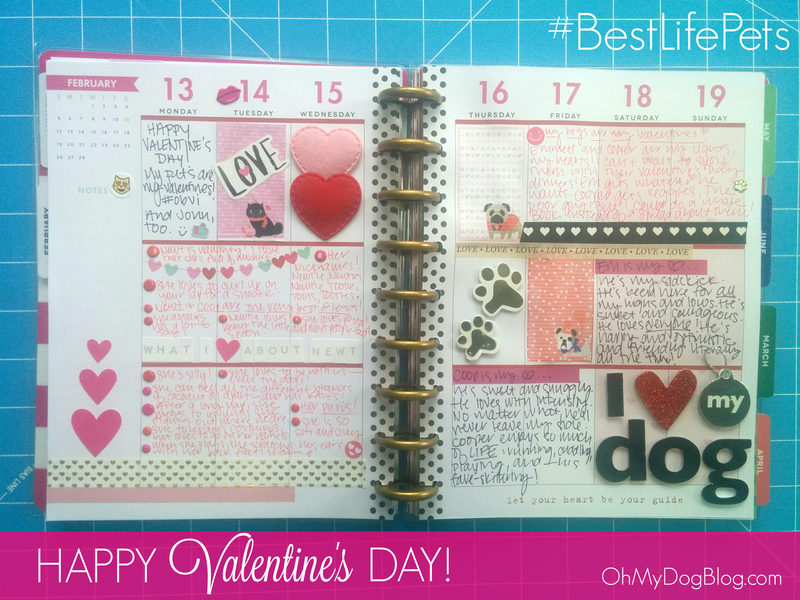 Happy Planner Archives - Oh My Dog! Healthy dog, healthy you… and the converse is true, too! I’m granting myself some leniency here because it’s been a helluva couple months. However. Several years ago, I alllllmost completed the C25K training program. It’s a really great program that takes you from not being able to run at all to completing a 5K incrementally and pretty gently. I derailed at the end and kept meaning to start back up but then winter. Anyways, I know that’s no excuse. So, summer 2016 I repeated the whole program with Cooper. He loved it. We finished it. I ran TWO 5Ks in 2016 and tried to keep up with twice- or thrice-weekly jogs. Then I derailed in early March. No “winter” excuse this time since that’s when things start getting nicer here in Indiana. Exercise is super good for us. It’s super good for our dogs. It’s super good for our bond with our dogs when we exercise together. The only drawbacks with exercise? It takes time, and it’s hard. And both of those things–individually or together–are enough to derail the best-laid plans. Yesterday, Sunday, June 4: The Healthy Dog, Healthy You Challenge kicked off. Started by my friend Alison at Sarcastic Dog, the challenge inspires us all to walk with our dogs for 30 days in a row. Here’s her post announcing and explaining the initiative: Getting Healthy… Again. There are prizes (yay!) and a fundraising initiative for Best Friends (double yay! ), and you can sign up and get those bullet points and some additional detail here: The Second Annual 30-Day Walk the Dog Challenge & Giveaway! Plus, there’s a Facebook group to connect and compare! Also–because you KNOW I’m obsessed–my friend Jodi at Kol’s Notes made an ahhhhmazing sticker set for your planner to go with the challenge. Legit, nothing motivates me quite like stickers do!! 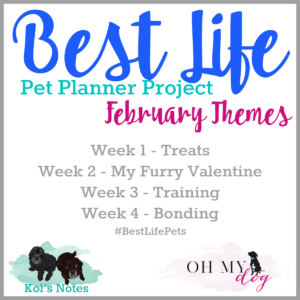 Check out her post here: The Healthy Dog; Healthy You Challenge (and Free Printable Stickers) and download the free stickers! 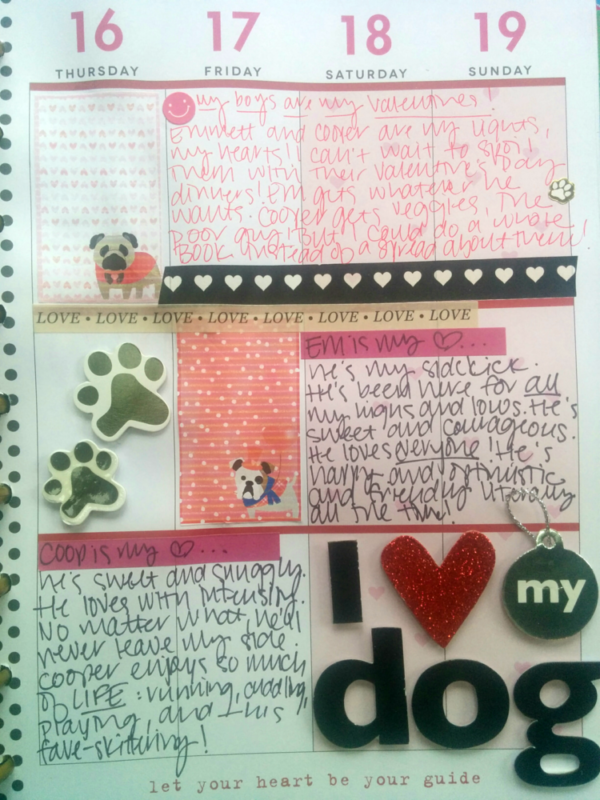 I’m working on cutting mine out and pasting them into my planner this morning… since I have all this extra time… Cooper. Want the quick PDF download? Here ya go! Anyway, for the launch of the program, yesterday I ended up doing a TON of yard work and was totally beat, but Cooper hadn’t gotten any exercise. So, John and I decided to do an after-dinner family walk around the neighborhood. I put Violet in the wrap, and John harnessed Cooper (with can of cheese in tow) and off we went. We hit the 15-minute mark, which feels like a win since that was the challenge… but I know we can do better. So, I set a goal: I signed myself up for another 5k on June 24, so I better stick with it, huh? That’s only three weeks away! Heck, the sun still isn’t up yet (COOPER), so I might as well round everyone up for an early-morning jog, huh? How about you? Are you doing the Healthy Dog, Healthy You challenge? Do you have any summer fitness plans or goals? I’d love to hear them and share progress so we can help inspire and motivate each other!!! Hello, everyone! 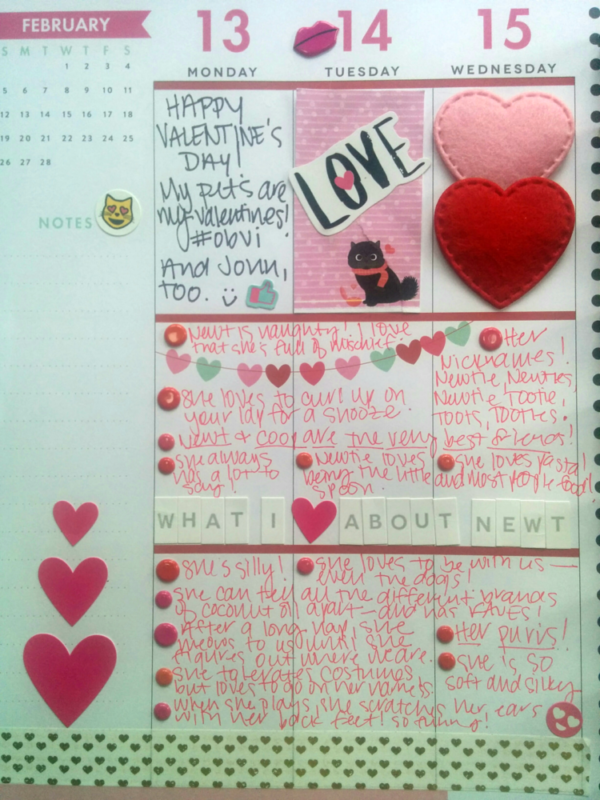 Welcome to my first ever Happy Planner flip through! So, last weekend I found myself with a small pocket of time and decided to film a flip-through of my Happy Planner project. I’ve never done anything like this before, though I’ve watched TONS of other people’s flip-throughs. Despite all the craziness of the past few weeks, I’ve tried to work on this project in bits and pieces here and there because it’s fun and relaxing. I’m someone who always needs a creative outlet, a side project to keep my mind and hands busy. Plus, knowing that our time with our pets is so precious and so limited, I want to capture all those little moments that are easy to lose in everyday chaos. Also, Jodi, the incredible design genius behind Kol’s Notes, has been busy creating super adorable sticker sets, and she’s working on some other fun printables. This is just the type of project that’s fun to do… there’s no right or wrong. You don’t need any special skills or supplies. That’s what I tried to share in my planner flip-through video. Even the pages that aren’t super pretty are still capturing moments that will mean something to me in years to come. Do you guys remember way-back-when I did that huge pet product sample and supply clean-out? I gave away TONS of fun goodies. Well, it’s time for that again! And it’s such a perfect fit for the April theme (in fact, you saw a peek of the plan in the flip-through vid above…) so stay tuned for that. Otherwise, I hope you’re having a lovely weekend. Thanks for watching, and I can’t wait to see what YOU create for #BestLifePets. Leave your links in the comments below so I can check it out. In the meantime, please take a sec to visit Jodi’s sweet and adorable post about how to celebrate Gotcha Days and birthdays (+ free stickers)!